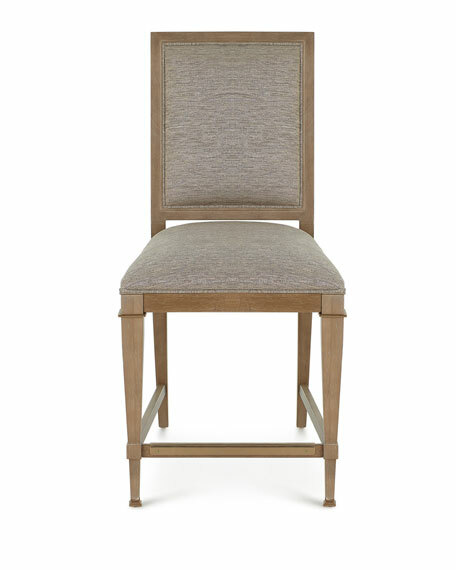 Sized to pull up to a kitchen counter or counter-height table, this counter stool has a distinctive metal grillwork inset back panel in a graceful swag design. 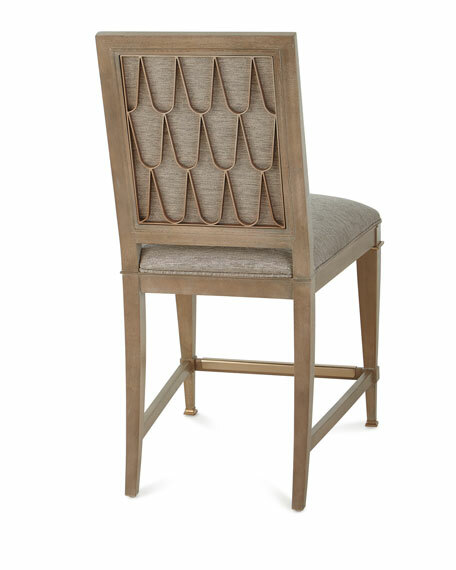 The warm gold tone of the back panel is repeated in subtle metal feet and a metal accent collar on the square tapered front legs. 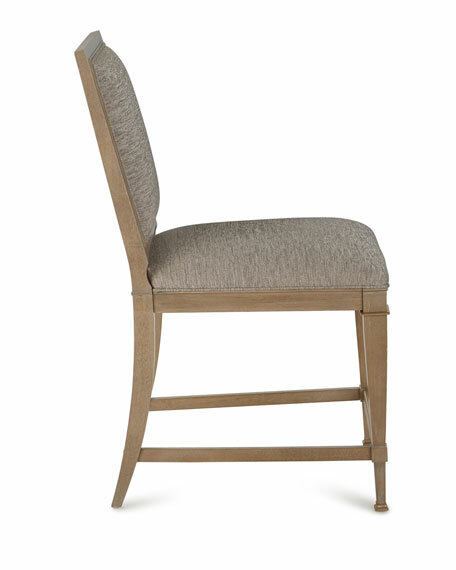 The neatly tailored seat and back are finished with self welting. 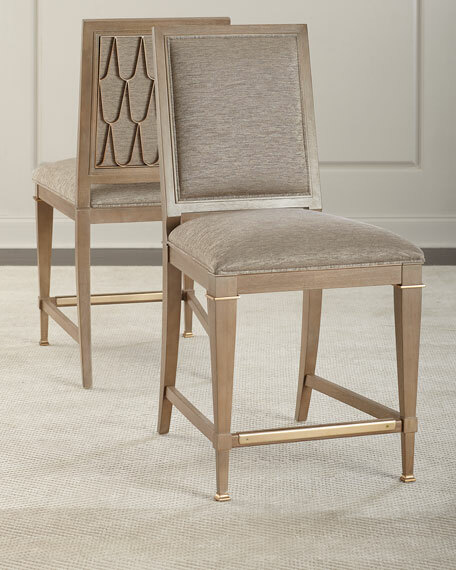 Handcrafted counter stool with golden hardware trim. Overall, 21"W x 26.8"D x 42.3"T.
Parrawood and pine solids; white oak and maple veneers. Light assembly may be required; hardware included.